Caxton Youth Organisation offers evening activities for young people aged 11-25, who live in Westminster and have disabilities. We provide activities at Caxton Youth Club on Monday, Wednesday and Friday evenings, from 6:30pm to 9pm. Minibus transport is available for those who require it. 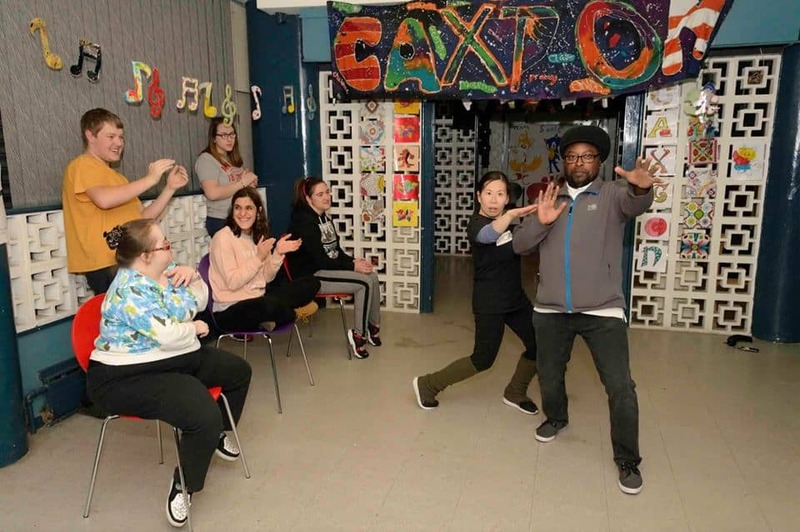 Established in 1948, Caxton Youth Organisation works with young people with disabilities between the ages of 11 and 25, who are resident in the City of Westminster. Following a referral from a professional, parents/ guardian or a young person themselves, we arrange for the young person to come along to the Youth Club for a visit with a parent/carer. During the visit, the young person and their family receive a guided tour of the Youth Club, are introduced to the workers and the young people, gain an insight into the organisation’s services and provide the Youth Workers with the opportunity to access the young person’s needs and ensure that we can safely meet them. After this initial visit, the young person and their parent/guardian will need to complete a “New Member Form,” and then we can arrange transport (if required). Caxton Youth Organisation holds a PQASSO quality mark and is working towards a bronze level London Youth quality mark. The organisation is committed to only providing services that have its member’s seal of approval. Young Person’s Representative: Each year, two members are elected by their peers to represent them on Caxton’s Management Committee, which meets every 8 weeks. Individual Activity Feedback: For each activity delivered, we obtain feedback from participants to ascertain whether their needs were met, and to gather guidance for future work. What’s Next Forum: A quarterly young person led forum through which Caxton’s members decide the direction and focus of the organisation’s activities at the Youth Club, and the Outdoor Base.